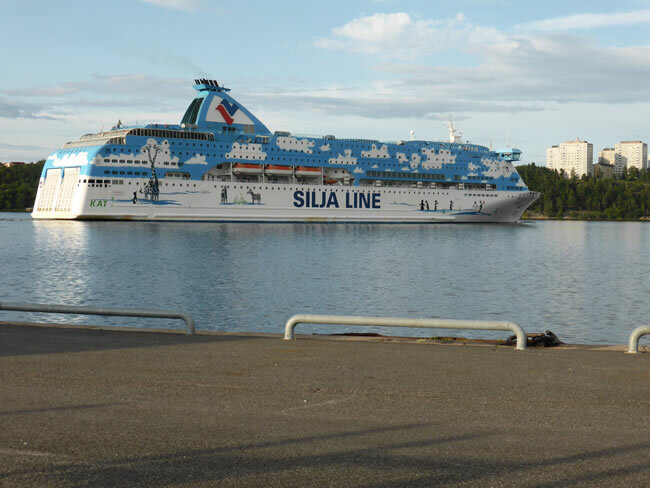 We got out at Gärdet metro station and walked back to the Tallink Silja Line Ferry Terminal. There was a grocery store at the car park so we stocked up then parked our van near the start of the queue for the ferry. This large car ferry is turning in the waterway separating us from the island of Lidingö.